This book is an account of a healing and spiritual journey which a doctor herself took, so as to find meaning in her life while under the guidance of another senior doctor. At the age of 33, Nicole felt loss and painfully stuck in her life. She had been trying to seek out the purpose behind her existence but to no avail. Out of the blue something intriguing happened and her life started to turn around and develop insights as to why things were happening the way they did. The tools of meditation and regression therapy were used for healing. 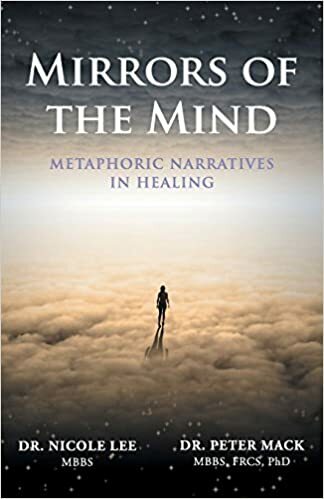 What makes this book unique and intriguing is that while most medical professionals are trained in healing physical wounds, the two doctor-authors in this book have taken on the roles of the “patient” and the “therapist” in healing emotional and spiritual wounds. Many life lessons were touched upon, and interspersed throughout the text of the patient story are explanatory notes from the perspective of the therapist. This book is about a holistic approach that accepts that the patient’s problem is often a message about some aspect of life that is not working out. One day Nicole reconnected with the senior author after several years and she could not stop asking him for help. After commencing treatment, it dawned on her that she had been searching for meaning in the wrong places. She had failed to see that the purpose of her life was essentially a spiritual quest. Negating her inner essence, she had been seeking for answer in the outer physical world. Her focus on the physical world had completely overshadowed her spiritual awareness. She was out of balance and lacked the awareness for inner discovery and growth. It turned out that the regression therapy was the start of a series of life-changing experiences leading on to her long-awaited path of personal transformation. As her life started to transform, she had an irresistible urge to share with others who might be facing the same difficulties. Instinctively, she engaged herself in co-writing this book to share her healing experience. Deep down, she knew her life would never be the same again.